Wales against South Africa has always been one of the great fixtures of international rugby, I was brought up on tales of the massive men from the veldt that Wales had never beaten, and indeed it stayed that way until Wales first victory against the Springboks in 1999. A back catalogue of brutal encounters exist that took place in Johannesburg, Cardiff, Pretoria, Durban and even Wembley, but Washington DC ? Ok let’s try and be positive about a match that created about as much interest locally as a party political broadcast. Firstly Arriva trains the scourge of rugby fans attempting to get in and out of Cardiff, do not operate in Washington, secondly you didnt have to get up from you seat eighty times during the match to let fellow spectators carry out their beer transportation, although was largely due to a crowd figure of 21,357. If the idea of the exercise was to spread the game stateside putting out two severely weakened teams seems a strange way to go about it. “Test rugby against the Springboks should not be a stepping stone or a preparation match, it’s a test match and that’s why I think it’s devalued the standard of international rugby. Then came Warren Gatland perhaps “Speaking words of wisdom” ? “Anyone who has come out and criticised this match, they’re completely ill-informed in terms of how important it is for the long term,” he said. “I think you would have to be someone with a chip on your shoulder or be pretty bitter and twisted to criticise this match because I see it as absolutely vital in terms of our long-term planning for 2019”. Which ever camp you’re in the match itself was one for the insomniacs, Channel 4 had to make do with Washington DC (DC meaning dodgy camerawork), which made a poor match match look worse, if that were at all possible. Having watched the pulsating Top 14 final between Castres and Montpellier that immediately preceded the stateside snooze fest, it brought home to me the gulf in excitement that now appears to exist between club and international rugby. 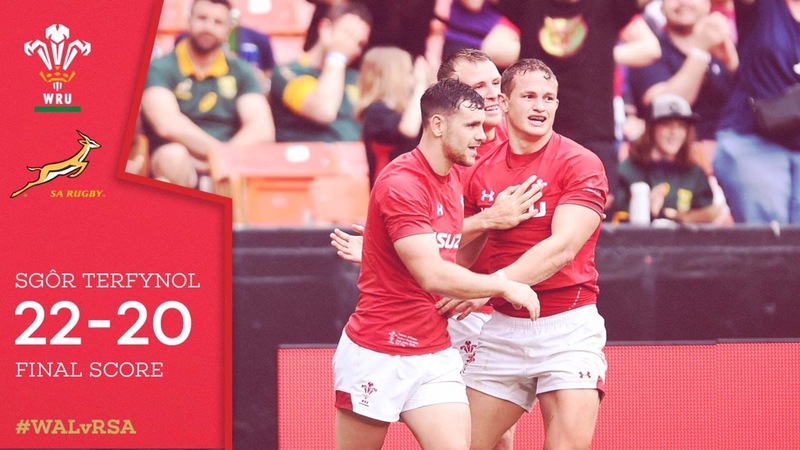 But hey it was a win for Wales against the Boks, and having waited forty one years of my life for the first victory, I will amidst my cynisism rejoice in that fact. At least now we can move on to Argentina, and two blood and thunder tests against the Pumas. It takes two to tango, and after a Hard Days Night last Saturday we look forward to the real thing.